A first-time novelist has won the distinguished John Llewellyn Rhys Prizesecond oldest literary prize in Britain; established in 1942 to honour writer John Llewellyn Rhys, who was killed in action in World War II; open to British and Commonwealth writers of fiction, non-fiction and poetry, aged 35 or under, at the time of publication, the second oldest literary prize in Britain, which was established in 1942 to honour the writer John Llewellyn Rhys, who was killed in action in World War II. The £5,000 Prize is presented annually to a UK or Commonwealth writer aged under 35 for a work of fiction, non-fiction or poetry. Previous winners include V S Naipaul, Margaret Drabble, David Hare and former Poet Laureate Andrew MotionEnglish poet, novelist and biographer; Poet Laureate of United Kingdom from 1999 to 2009; during his laureateship founded the Poetry Archive, an online resource of poems and audio recordings of poets reading their own work. What’s more, Wyld was up against a strong shortlist, which included established writers such as Booker winner Aravind Adiga, and Chimamanda Ngozi Adichie, winner of the Orange Prize. 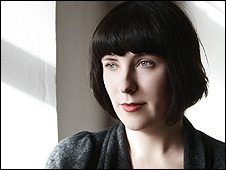 Wyld’s novel After the Fire, A Still Small Voice is published by Jonathan Cape. ‘A lot of people have funny ideas about writers, like they’re born with novels fully formed inside them or something. Just like everything else, writing takes practice, and I believe that the right creative writing degree can be hugely helpful. Some people seem to think that a writer goes and works out the formula to a great novel in a room somewhere and then regurgitates it in a soulless, dead way.